Opening event- Sunday 6th August, 2-5pm. Then daily 11am-4pm, from Tuesday the 8th until Wednesday the 16th August 2017. *note the gallery will be closed on Monday the 7th of August. *note the gallery will be open till 6pm on Wednesday the 16th of August. 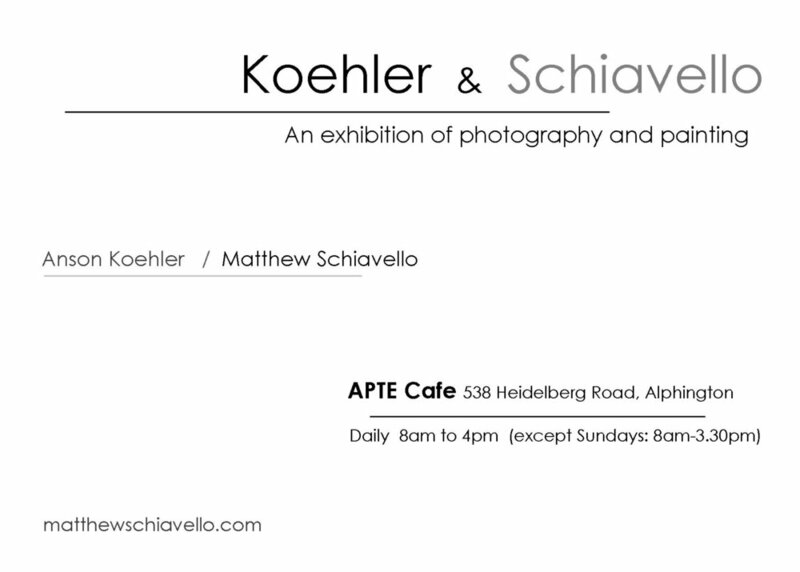 Exhibition of my recent abstract photographic and mixed media works. This will be a shared exhibition with Christine Georgiou. Christine's watercolour works have been described as 'beautiful and engaging'. We recently both exhibited our works as part of the '5 of us' group show at STEPS gallery. Sis you know that mid afternoons at APTE are often a quieter time to look over the art work, as you warm up with a hot drink and contemplate cake with, or without cream.